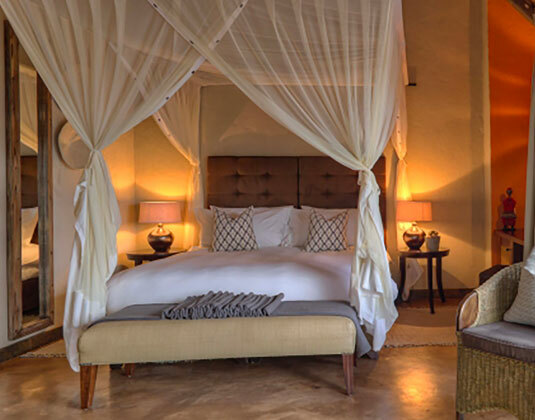 Rhulani means "relax", so where better to discover the African bush than this modern-day refuge. 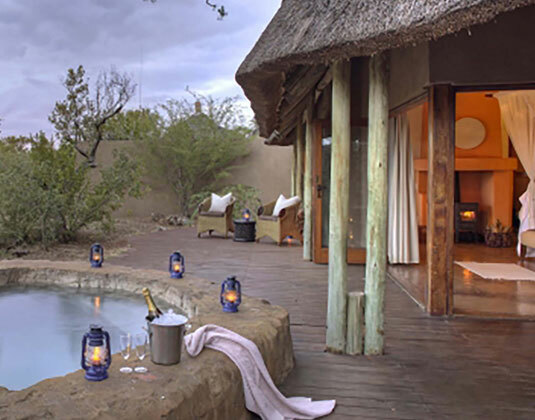 Sensational game viewing , exquisite dining experiences and beautifully appointed spacious chalets with their own private plunge pool. In luxury chalets with bath/shower, outside shower, seating area, fireplace, complimentary stocked mini bar and deck with plunge pool. Breakfast/brunch, high tea, dinner and bottled water. 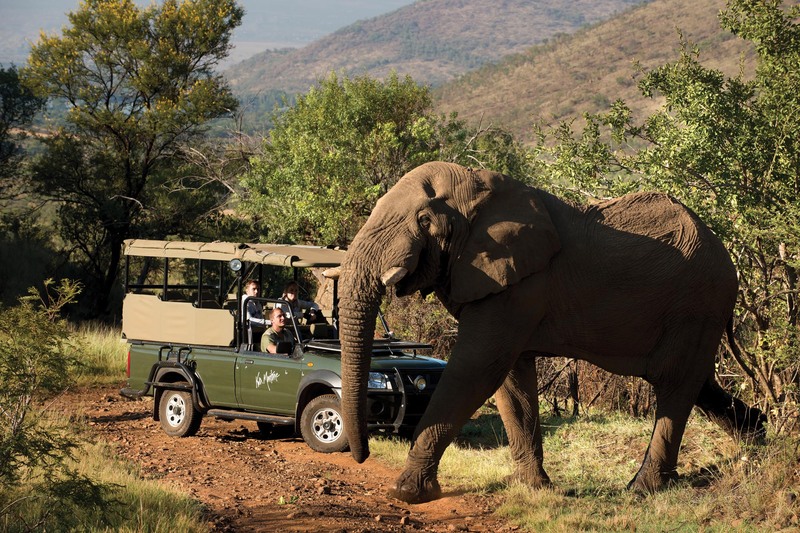 20 minutes from Madikwe airstrip or 4 hours from Johannesburg. Sep 18-Dec 19. Please ask for details.